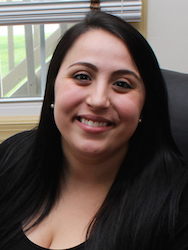 Nicole is a life long resident of Montgomery County and a graduate of Chestnut Hill College (B.A. Political Science). After graduating, she earned a certification as a teacher of English as a Second Language (ESL). She used that certification to pursue employment in Italy. Upon returning to the States, Nicole started her legal career as an administrative assistant at a preeminent Montgomery County Social Security Disability boutique firm, where she developed a comprehensive knowledge of the Social Security Disability process. Seeking to broaden her horizons, Nicole joined the Total Disability Law Group at Warren McGraw & Knowles LLC so that she could gain exposure to the other laws and benefit systems affecting disabled workers. The firm's clients benefit from the depth of knowledge that Nicole possesses concerning the Social Security Disability process. Nicole appreciates the breadth of services that the Total Disability Law Group at Warren McGraw & Knowles LLC is able to provide to disabled workers. Nicole is steadfastly dedicated to providing compassionate service to the disabled workers who we represent. If you have any questions about the status of your disability matter, Nicole will gladly answer them for you. When she is not helping the disabled clients of Warren McGraw & Knowles LLC, Nicole enjoys cooking, baking, and celebrating her Italian heritage.